All visitors are welcome to attend any of these Masses. Masses at other times by arrangement only. Reconciliation: 3:30 PM – 5:00 PM on Saturdays. Groups by advance notice only. 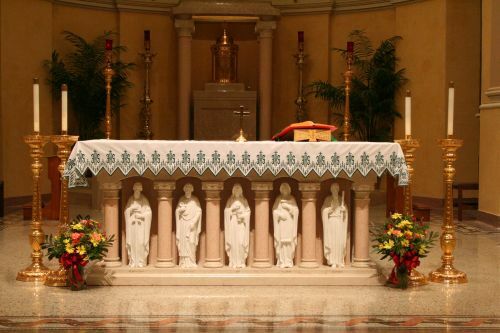 CHILDCARE: A Parent Room (“Cry Room”) is located by the main entrance of the Basilica. Traveling? Looking for Mass Times? Find a Catholic Church anywhere in the World using Mass Times website. Mass Times is a non-profit website that allows traveling Catholics to locate Mass times and information for Catholic Churches around the world. 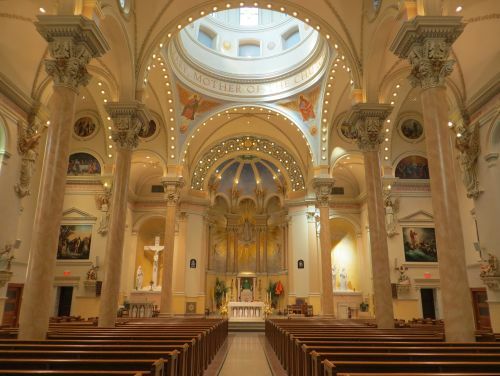 You can search by Zip Code, City, State, Country or Area Code for Catholic Church locations. A great resource when you are away for Sunday Mass!